Evidence has appeared out of the air. A team of investigators for the Italian police has lifted a fingerprint off a pistol trigger with the help of vaporized superglue. Triggers might seem like a natural place to look for fingerprints, but they are small and get touched repeatedly, so it can be hard to get clear, usable prints from them. Despite what you see on TV, firearms in general aren’t a good source of fingerprints – a recent study suggests only 13 per cent produce usable evidence – and the trigger is the most difficult area to study. “We obtained a result which you can see perhaps only in the TV series,” says Andrea Chiuri of the Department of Scientific Investigations in Parma, one of the investigators. 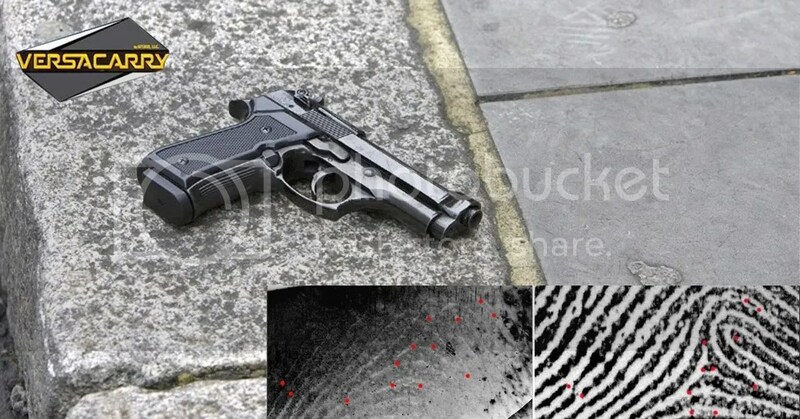 The gun in question was a small pistol found in a warehouse in Italy last year. There was no record of who owned it, which is illegal in Italy – all guns must carry an identification number and be registered with the local police. The gun was kept in cold storage for eight months before analysis, after which investigators looked for prints using visible and ultraviolet light, but found nothing that might identify the gun’s owner. So they put the gun in a chamber filled with vaporized superglue, a commonly used technique that has a low success rate for firearms. The superglue fumes settled on the sticky residue left by a finger, turning it white. They got lucky, and a print on the trigger emerged. A person was traced and arrested on suspicion of illegal possession of a firearm and ammunition, and is currently on trial. The team says the good fortune shows that forensic science labs should be careful when handling firearms and swabbing for DNA, because you never know when a fingerprint might show up.